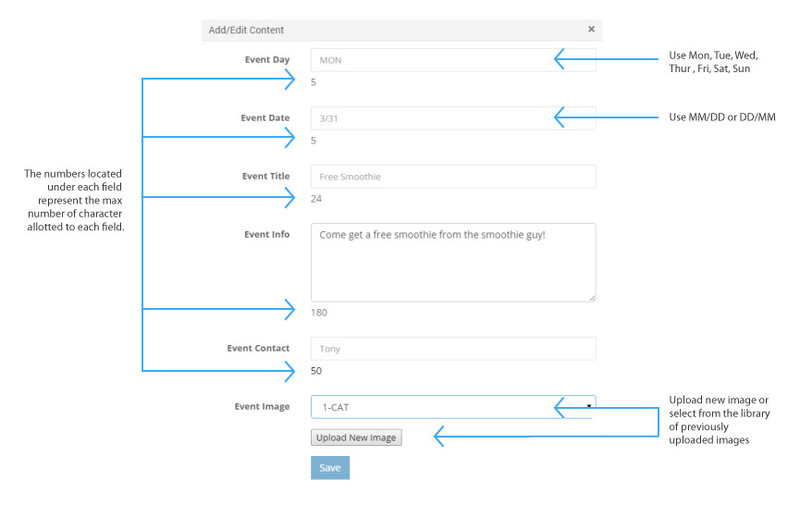 Overview:Below is a diagram of the content editor within the Event Scroller App. The diagram explains content fields and provides examples and best practice tips. Image size: Event item images should be sized to 135px wide by 250px tall.